Catherine Hapka has over 30 distinct works and 10 series of books. She has books written under Catherine Hapka, Cathy Hepka, C.A. Hepka and also ghost written other books. And under those three names has over 100 books to her credit. 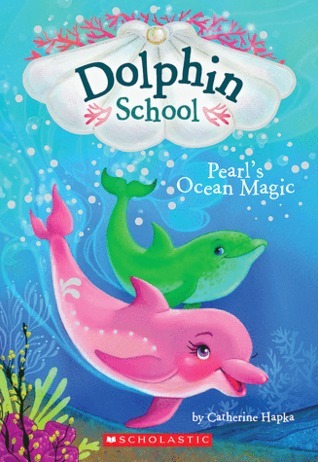 But To be honest I had not really heard of her, prior to reading this book and this series with my youngest daughter. Now to be honest my daughter loves these books. I was a little less impressed. They were in a section at the book store with numerous books my daughter can read. But these books were way beyond her capabilities. I do normally enjoy reading with my children. But I found this book in particular and the series in general a little lacklustre. There was nothing in the story or characters I could hold onto. 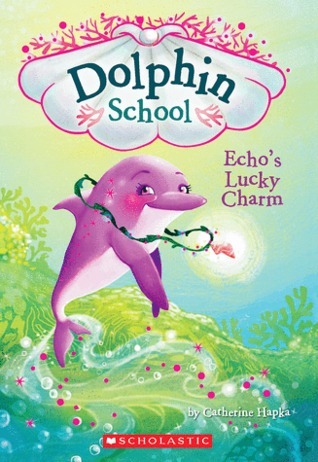 My daughter loves the covers but the illustrations in the actual book are pretty sparse. The story is OK. 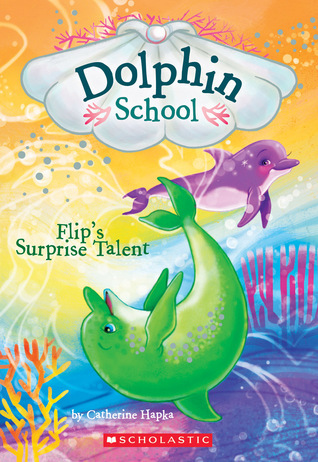 It is about a young dolphin heading off to school for the first time. 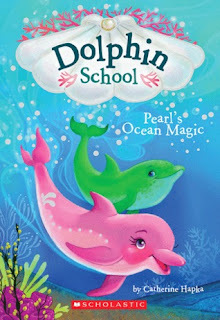 Pearl is heading to Coral Cove Dolphin School. She soon hooks up with a group of 3 friends. 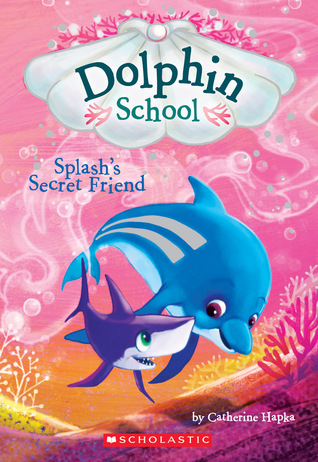 In the series the dolphins use telepathy to guide other ocean animals to help protect them. 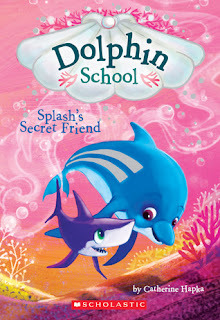 But there is a school bully Mullet and he tries to intimidate Pearl's friend Flip to do dangerous dares. The plot got a little scary for the intended age. But in many ways it was a typical school story. 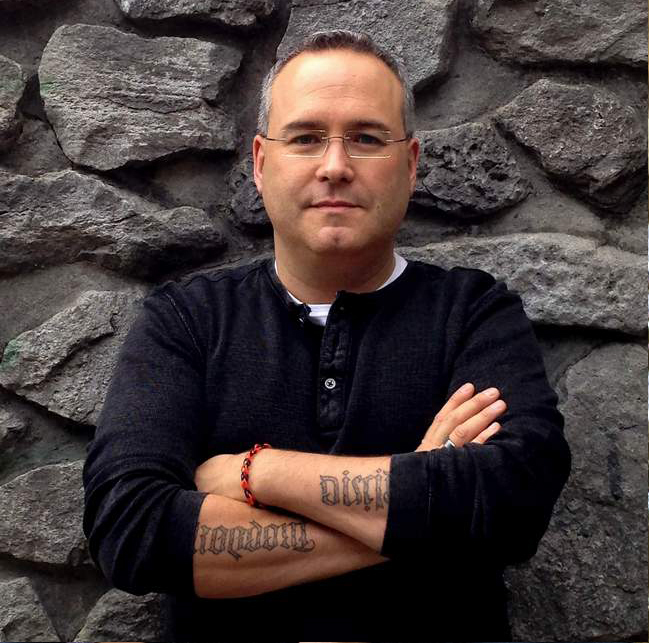 When an author is cranking out 10 books a year maybe it is hard to keep up the standards. 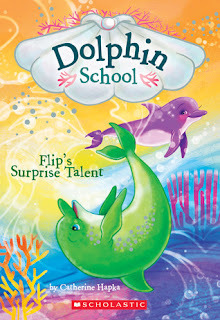 Or maybe this book was more flash in the cover than substance in the book. From where I sit as a parent it was disappointing even if my daughter enjoys them. I was hesitant to buy this one but my daughter had her own gift card I really wish I had encouraged her in a different direction. It feels like it is trying to capitalise on the popularity of Finding Nemo and just doesn't pull it off. I give the book 3 of 5 stars because my daughter wanted to see it through but if I had been reading it to review it would have ended up in the 'did not finish pile'.